Hindscarth, Robinson and Scope End from Little Town has got to be one of the best views in the Newlands Valley. The pretty lakeland dry stone wall covered in springtime hawthorn blossom makes for a great foreground to the shot. 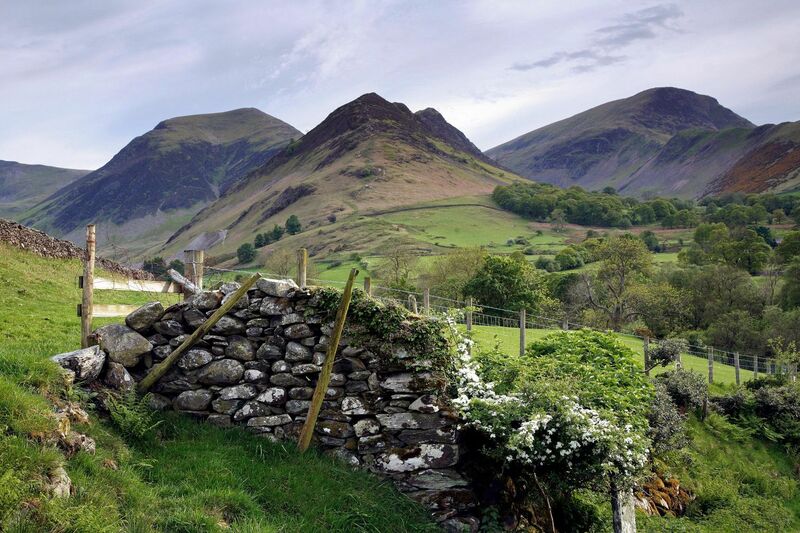 It's the start of the Newlands Horseshoe which is considered to be one of the best lake district ridge walks.